That's right, the puzzle game is coming back to iPhones and iPads in Angry Birds: Isle of Pigs, leveraging the surface detection capabilities of ARKit to bring the feuding birds and pigs into the real world. On Tuesday, Rovio and its development partner, Resolution Games, announced the new game at the Game Developers Conference in San Francisco. The app is available for pre-order now in the App Store, with the game and its 40 levels of gameplay arriving in spring 2019. According to a Rovio spokesperson, the game will be free to play, with additional details regarding in-app purchases to be revealed closer to launch. 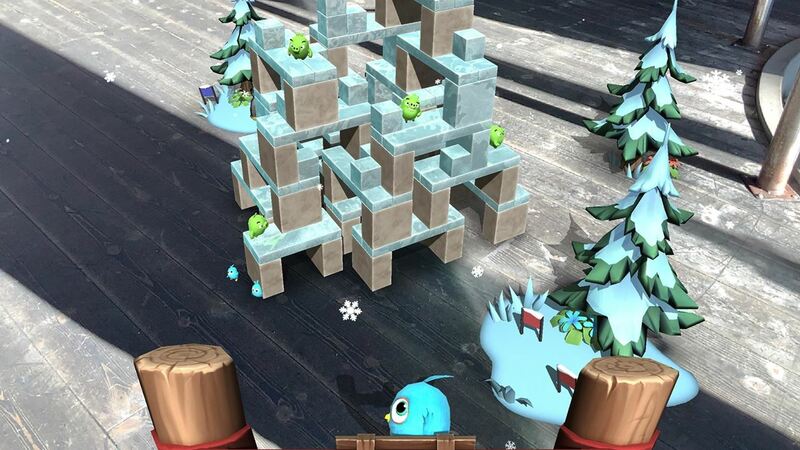 "We're delighted to bring the beloved physics-based gameplay of Angry Birds to life through augmented reality," said Kati Levoranta, CEO at Rovio Entertainment, in a statement. 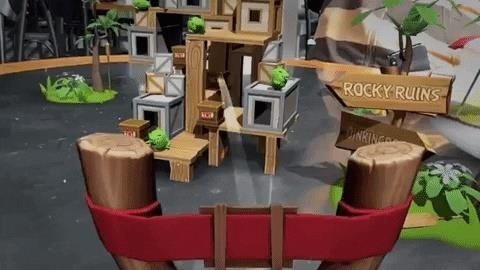 "It's an especially timely moment to bring our avian friends to mobile AR for the first time, as this year marks the tenth anniversary since the release of the first Angry Birds game." 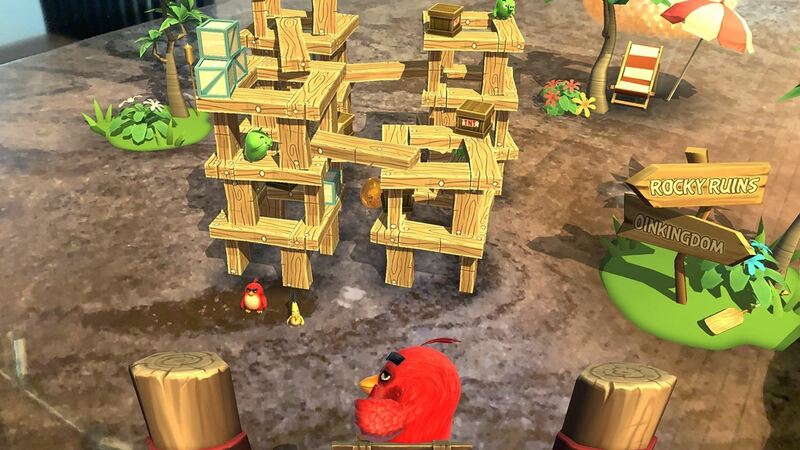 Similar to the classic version of the game, players sling the irritable feathered ammunition with various powers at forts built and occupied by the titular pigs. 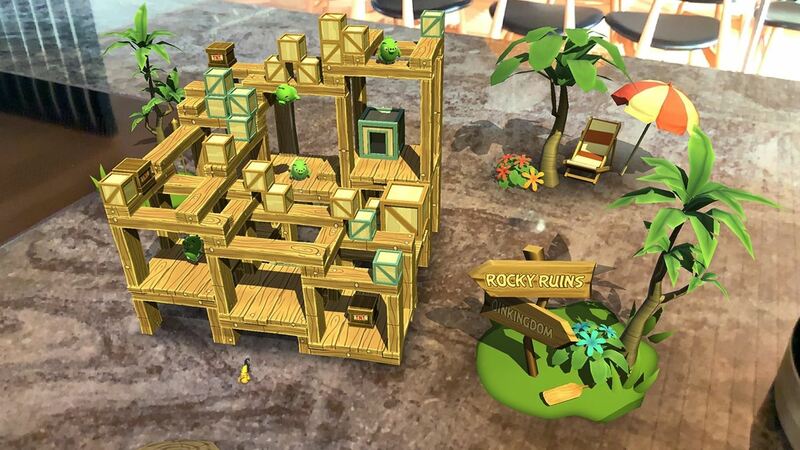 However, as with the Magic Leap game, players can walk around the virtual forts to find hidden targets and fire away. 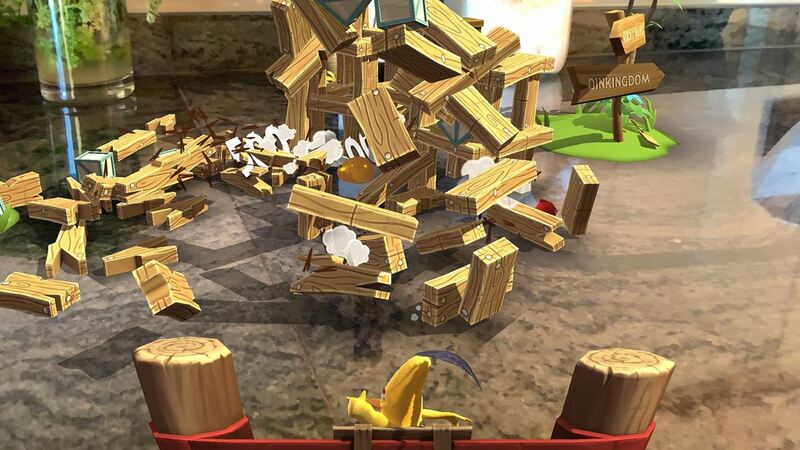 Apple's ARKit does lack the spatial computing capabilities of Magic Leap, so players shouldn't expect pigs to roll off tables or projectiles to bounce off walls. "This game evokes the core of what makes AR gameplay truly AR," said Tommy Palm, CEO of Resolution Games. 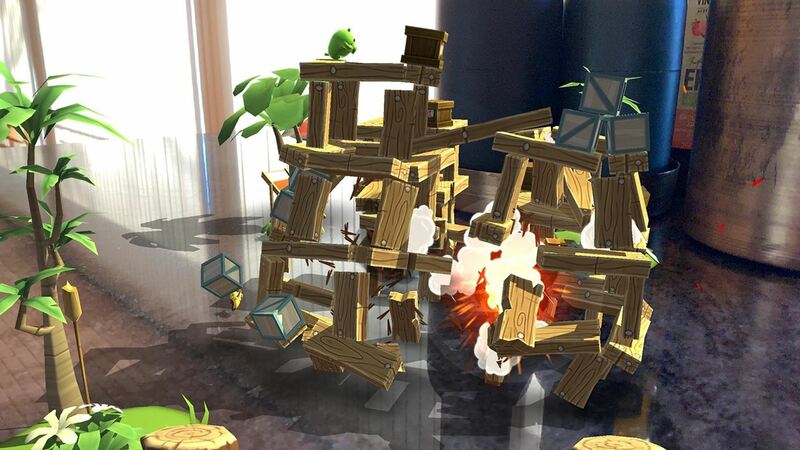 "With its engaging characters, classic Angry Birds slingshot gameplay and ability to move around the structures, it utilizes the unique elements of ARKit and showcases what AR gameplay is capable of, which is pretty amazing when you see it come to life." It's a bit of a curious pivot, too. Upon the announcement of the Magic Leap game, Resolution Games seemed resolute in its approach of skipping mobile AR for AR headsets. "We've always been focused on innovating and driving the adoption of emerging technologies and platforms, and we believe that the future of AR is head-mounted devices, so Magic Leap was a logical platform for us to develop for," said Martin Vilcans, CTO of Resolution Games, told Next Reality, in a statement to Next Reality regarding the Magic Leap app game. "It's exciting to see what is opening up for developers and how it can change the way people look at gameplay." Considering the fact that Resolution Games is one of Magic Leap's chosen grant winners from the Independent Creators Program, the pivot doesn't signal a reversal of strategy so much as a means to capitalize on where the money is now. 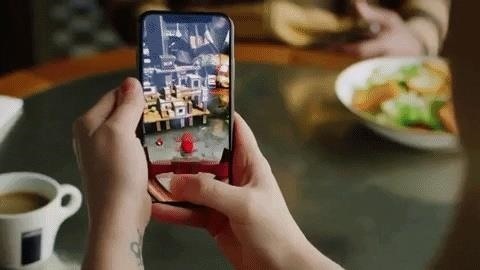 The mobile app market has matured since the original Angry Birds launched, so Rovio and Resolution can score revenue with the technology now while keeping eyes on where the future of AR gaming is headed next.